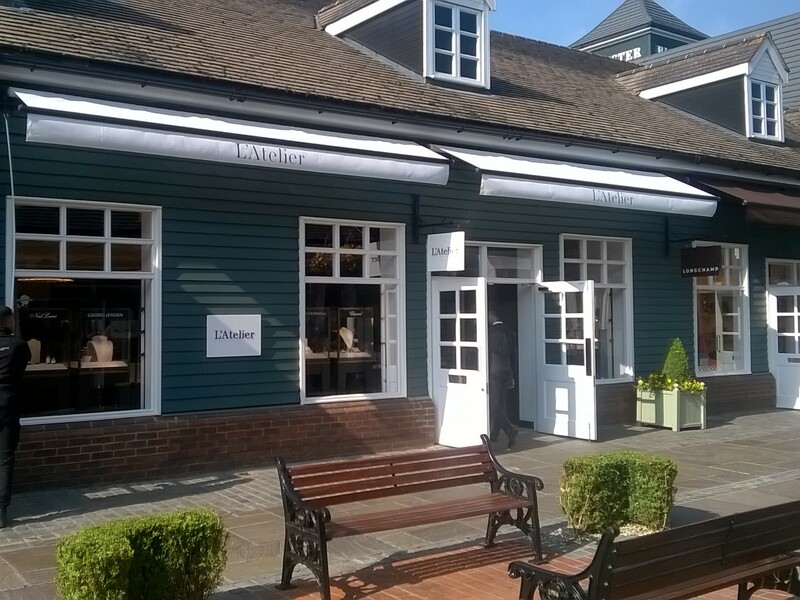 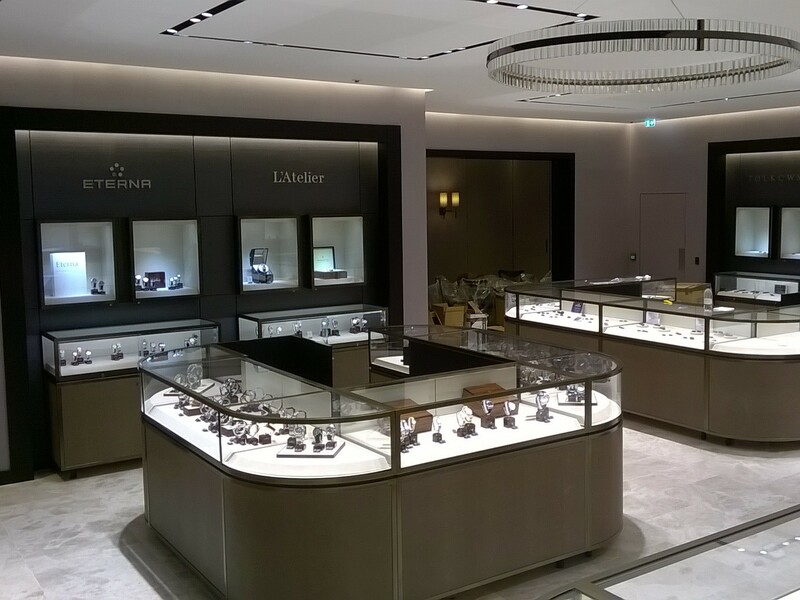 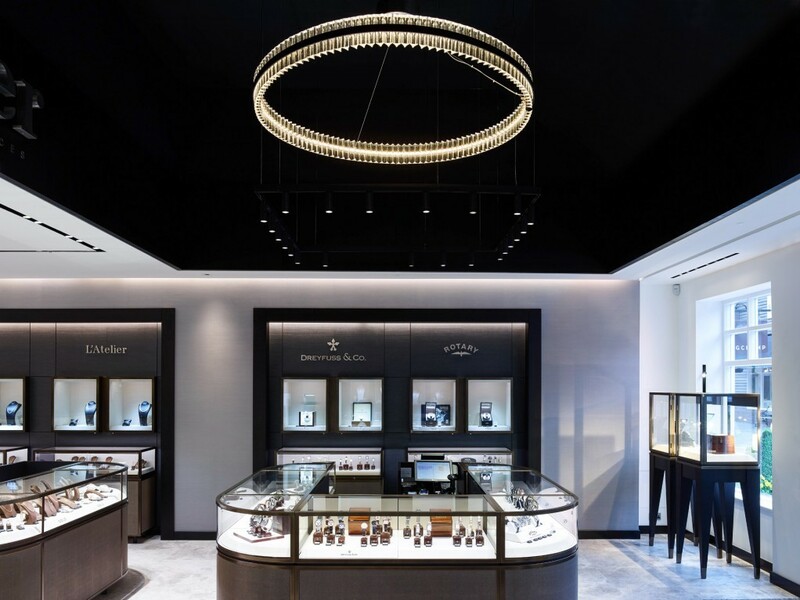 AM System was delighted to be asked to develop, manufacture and install furniture for the high-end jewellery store, L’Atelier at Bicester Village. 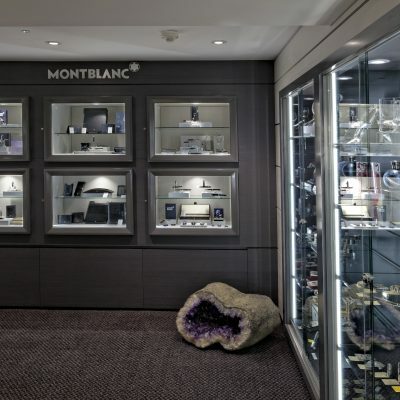 Ensuring the quality matched up to expectations of the various brands, multiple finishes were sampled for the metal, the paint finishes and fabrics. 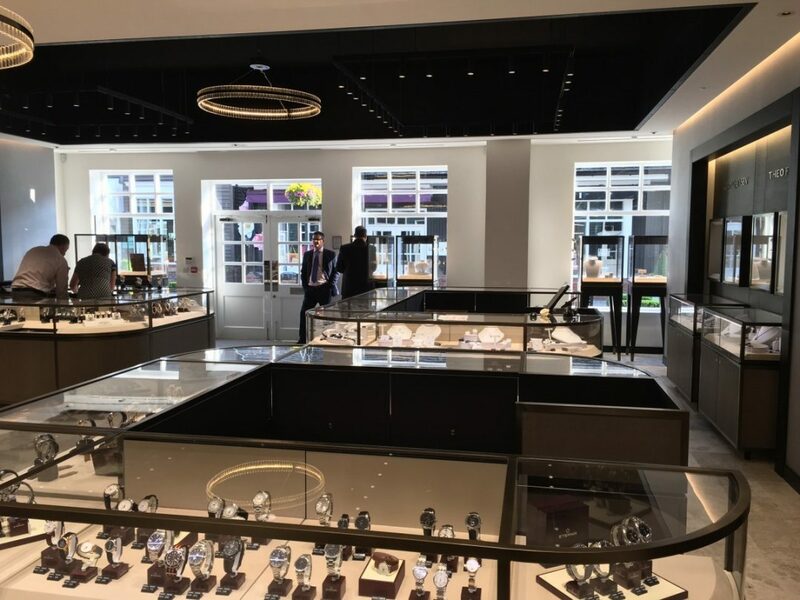 The finished store features a specialist powder-coated hand crafted steel surround, flat and curved glass cabinets, fabric wrapped panels to the external faces and an ultra-resistant matt black FENIX laminate to the sales side and cupboard internals. 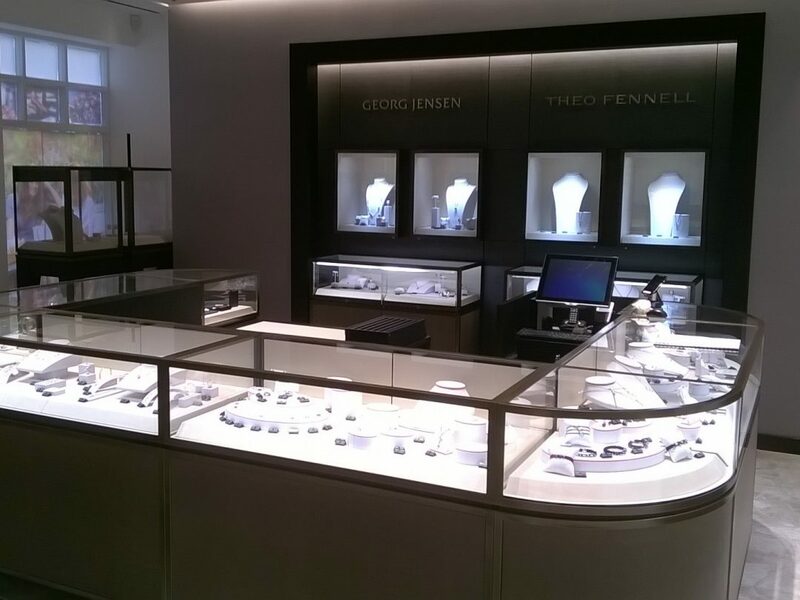 In total 57 display cabinets were produced at our factory in Hinckley and installed at Bicester Village. 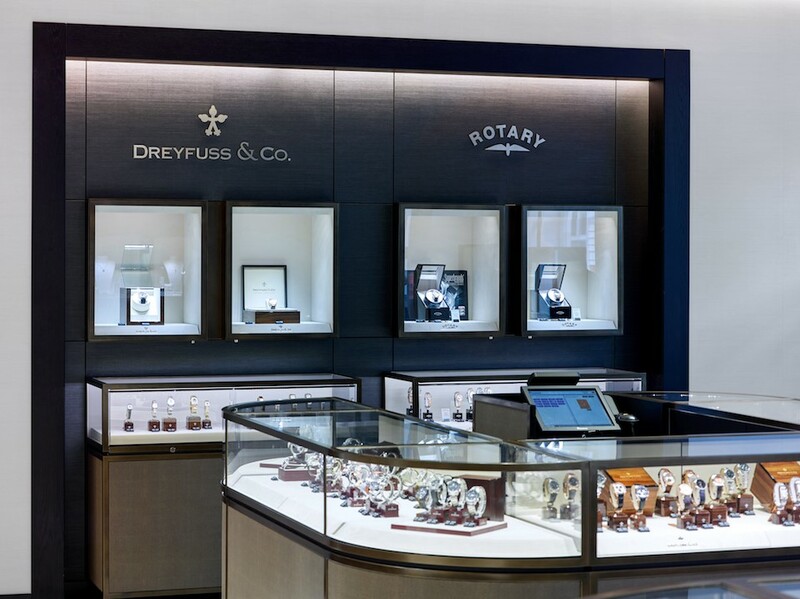 Our Technical Design Team worked to develop the initial ideas into high quality finished designs, including the development of a bespoke hinge and opening mechanism for the in-wall displays and a high security lock system throughout. 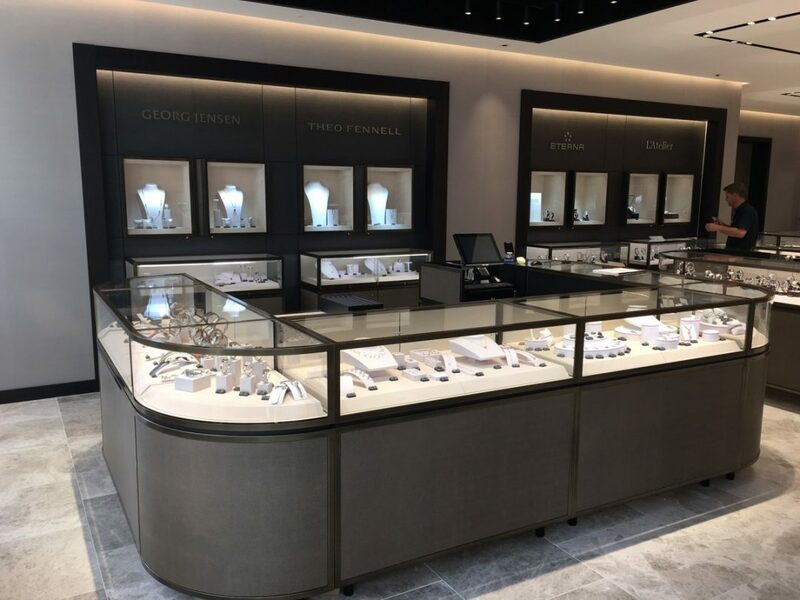 Our professional delivery and installation team worked alongside the Principal Contractor to deliver a stunning retail environment and worked tirelessly to ensure the store was ready for the grand opening!